Experiment with your edgy side wearing the K.Jacques™ Forban Pul Sandal. Slip-on construction with adjustable bracelet cuff closure. Stud detail at ankle cuff. 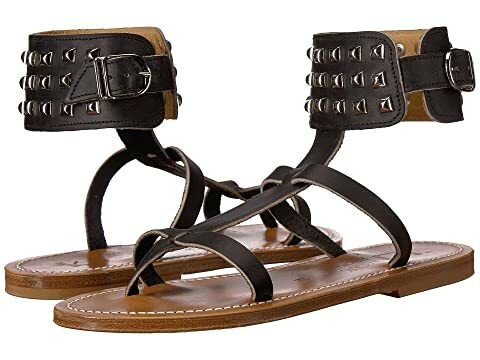 We can't currently find any similar items for the Forban Pul Sandal by K.Jacques. Sorry!